AMS Spectral UV, a Baldwin Technology Company located in River Falls, Wisconsin, has rolled out a new, responsive website designed to make it easier for those researching online to learn about the companys LED-UV and conventional UV curing technologies. 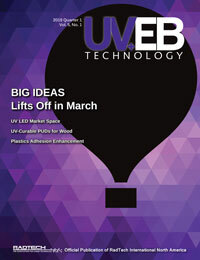 The site aims to keep printers posted on pertinent news and upcoming events, and it offers such assets as case studies to those interested in finding out how LED-UV curing impacts commercial print businesses. The website features a simple and intuitive format and improved navigation. The content has been updated to reflect AMS Spectral UVs most current product offerings, which include four main LED-UV product lines and detailed technical specification of their capabilities. Additionally, the site offers industry-specific information, with resources for printers who run sheet-fed, flexographic, CI and web presses. For more information, visit www.amsspectraluv.com.